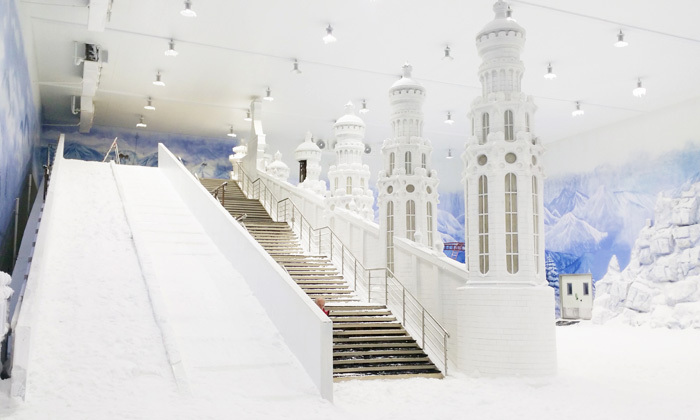 VGP Snow Kingdom is a huge indoor snow theme park, which cools to about -8 degree celsius making it literally the coolest spot in town. This place lets you enjoy snowfall and sub-zero temperatures, without taking the effort and planning of travelling to the Hills. Located in Chennai, it has a whole range of rides and activities as well as a dedicated play area for kids to keep them busy all the while. Some of its rides and activities include snow mountain climbing, toboggan rides, giant snow castles and snow basket ball.